This is a bit of an odd picture to post, but I thought I might take the opportunity to show off some elephant hide (Elefantenhaut). I'm doing a friend a small favor and cutting some 15cm squares of elephant hide for her. I bought all the shades I have access to, and this is a work in progress shot. The sheets in the back show the starting size, the strips are those sheets cut lengthwise to strips of width 15cm. And the squares on the top are the first ones I cut from those strips. I think it's a bit of a pity to cut this paper to such small paper sizes, but it's much easier to mail sheets of that size, and it's the size Deb said she preferred most. Well, I'm back to cutting now! I'm sure there are more (especially in Germany), but it should get you started. How big are the sheets you started with? I bought 70cm by 100cm sheets. This means I can cut 24 squares with a side length of 15cm from one sheet. And there's some strips left over for smaller sheets. You can get this excellent paper from Shepherds Falkiners in London. 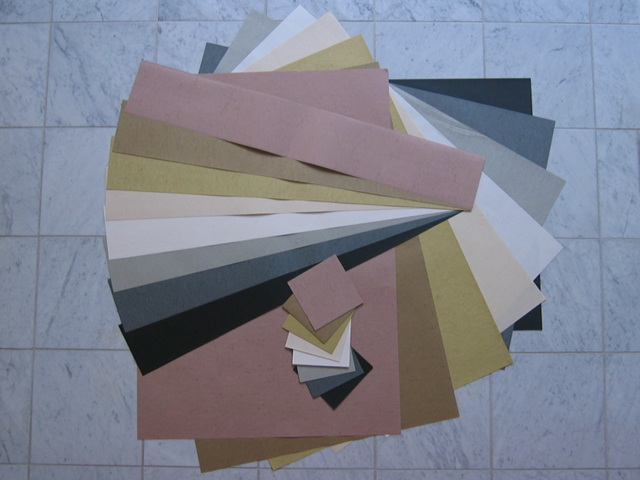 It is a bookbinding paper shop but also sells many other exciting papers and is a great shop to visit. It is near Holborn. 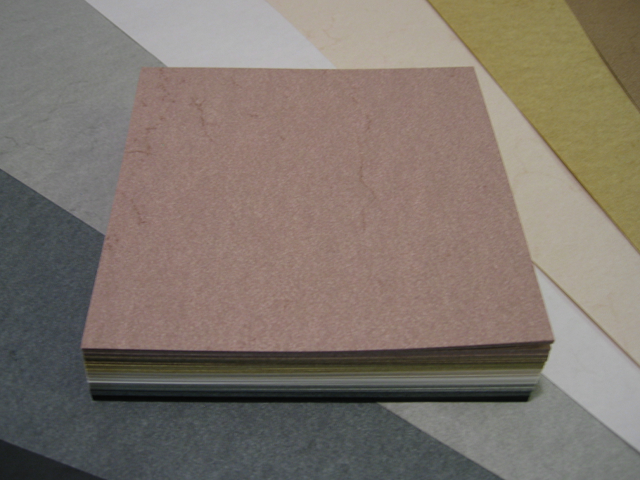 The elephant hide paper is under their 'parchment surface paper' section. I also found this page amusing as someone above had asked if there was elephant in the paper! Rhino Poo paper containing elephant dung, if someone out there is brave and wants to try some of this. I don't know. If you find a source, do let us know - I'm sure other visitors would appreciate it. nicely cut! ^_^ Did you use a guillotine type cutter or did you use a cutter/blade? That's really good.. Oh wow... I wish I get to fold with tant and elephant hide and origamido paper one day ^_^ I have never even folded foil paper... I just have normal 6x6 in kami and 8x8 in semi transparent paper which i use for tessellations.. I don't have a guillotine, it would have definitely been much faster that way! how did you get that image on the comment? Tell me that isn't real elephant hide. It's a paper called elephant hide. Not "real" elephant hide. C'mon, seriously! 2 reasons I asked this. 2 reasons I answered this. Sara do you know any store that sells green elephant hide? I think the green elephant hide went out of production some years ago. So I'm not sure there are any shops left that sell it. You can get one of the lighter shades and paint the elephant hide green.